Virtual summits are starting to pick up steam. Hosting one can give you an instant boost in authority and get you several media mentions. He’s right. At some virtual summits, the host ends up interviewing over 100 experts. I’d say that’s learning on steroids. And a major, if not tiring, advantage for the host. If you understand how to promote your virtual summit, you can make six figures and attract thousands of subscribers. In less than two months, Chandler Bolt‘s virtual summit made resulted in 30,000 new email subscribers and more than $370K in earnings. I first learned about virtual summits when Josh Denning and Tom Morkes invited me to be a guest at the Authority Super Summit, which had over 100 speakers and broke a Guinness World Record for the longest live summit in history. Now I plan to host my own summit… in June 2017! I’ll reveal much more closer to the date. Take some time to think about how to set up you virtual summit, which creates a solid foundation from which to build. The first step is to determine your summit’s topic. Keep in mind that too broad a topic will negatively impact your summit’s overall success. A virtual summit on “marketing,” for example, is too broad because there are so many areas of marketing (social media marketing, digital marketing, integrated marketing, etc.). A Content Marketing Success Summit (CMS Summit), on the other hand, is specific and clearly defined. Oh, snap. I revealed the name of my summit. Let’s keep it between us! A virtual summit actually requires months of planning. If you’re just starting out, it’s advised that you start with a 4-5 day virtual summit. Part of the preparation for my upcoming summit was talking to several people who had already hosted virtual summits. Many of them used Vimeo to publish interviews that were conducted in advance, usually on Skype or Zoom. (Skype is the less expensive option and the one I prefer). The final phase for setting up is creating a slick web design. The design is important because it will attract potential speakers and guests. A professional web design is an indicator that you’re professional and are investing time in energy into making your summit a success. If you don’t know much about creating a professional web design, I advise hiring someone to design the website. If you host a virtual summit that makes 5-6 figures in two months, wouldn’t it be worth the money to hire a web designer? A good rule of thumb is to contact as many guests as possible. You want your summit to showcase as many experts as possible (as long as these experts make sense for the summit). Ideally, you should have at least 100 guests attend your virtual summit. Making that happen is partly why virtual summits take so much work. Not only do you have to contact enough people until to reach 100 confirmed guests, but you also have to interview everyone of them. That’s where the bulk of the work resides. Some people prefer contacting guests through Twitter because of its brevity; short and sweet interactions. Many influencers are also active on the platform. I prefer email because most people are addicted to their inboxes so you have a higher chance your message will be read. The average person checks his/her inbox every 15 minutes. Influencers will likely your message. The challenge is getting them to respond. What your summit is about? When the summit will start? Will the interview be live or pre-recorded? What is anticipated number of people attending the summit? All of this needs to be done in 10 sentences or less. Normally, I would advise five sentences or less, but I don’t think a message like this can be conveyed properly in just five sentences. Just make sure you start by letting the influencer know you’re inviting him/her to speak. That’s usually enough to get the influencer on board (the intent of the email, what you want them to do, is what he or she wants to know more than anything else). When I started contacting guests for my summit, I began with the people who popped into mind first. As I contacted more people I already knew, I had to think outside of the box. I had to contact people I didn’t know personally, but had recently learned or heard about. Then contact some more. All of these guests will help your summit gain more traction, especially if you provide affiliate links. In the virtual summits I have been a part of, I agreed to promote the virtual summits to my email list. You can arrange these conditions so that your guests promote the summit to their audiences. If you get hundreds of people to promote everything from the landing pages to the All-Access Pass sales page, you can boost your own email lists and revenues. Scheduling the time and date for each influencer is a matter of back-and-forth emails. If you want a more expedited approach, use a tool like Calendly that lets you display your availability. Don’t be insistent when asking influencers to promote your summit, but make sure everyone promotes it. If you want your summit influencers to promote it more often, give them everything they need, such as swipe copy & subject lines for every email you want them to send. You also have to pre-write social media posts, include images, and give everyone three choices for promotion (conservative promotion, balanced promotion, and aggressive promotion). Within each sequence, you can tell your guests when to promote, how to promote, and which types of emails need to be sent. Once your guests aligned, the next step is getting traction for your virtual summit. If you start gaining traction the day before the summit begins, you’ve made a big mistake. Traction begins 3-4 weeks prior to the actual summit. Within that time, you should email your list about your virtual summit and start firing off social media posts. And if you haven’t already done so, finalize the prewritten swipe copy and social media posts for your guests to utilize. After you’ve done the initial leg work, your guests should start promoting your virtual summit two weeks before it starts. If you want more people to enter their name and email address, you should create a free offer relevant to the event. The truth is that some people will put off signing up until the day before. Including a free offer or workbook will help them act faster. And if you know a thing or two about Facebook ads, you should definitely use those to promote your virtual summit. Not only will you get more subscribers, but with a $97 All-Access Pass and a 4% conversion rate (the typical conversion rate), you break even by getting new subscribers at a rate of $3.88 per subscriber, which is very easy to do. Some ads get subscribers at a rate of under $1 per subscriber. I recommend doing a bit of research if you’re interested in social advertising, or consult with someone who already knows the ins and outs to save time. Once people agree to attend your event, your must ensure they stick around for as long as possible. The most important thing you can do to increase retention is offer a legendary speaker line-up. You can do other things which we’ll talk about later, but your guests make or break your virtual summit. You want to choose engaging speakers with the right expertise. Choosing an engaging speaker is just as important (if not more important) as choosing an expert. In addition to choosing engaging speakers, invite each speaker to provide a free offer. Regardless of whether the free offer is some form of digital content or access to a training course, the idea of getting a free offer will entice people to stick around until the very end. You can also run sporadic giveaways throughout your virtual summit to keep people’s attention. Make sure you acknowledge the audience’s questions during your virtual summit, and you’ll entice more people to ask questions. This is easier for a live virtual summit with a real-time commenting section, but you can also get audience member questions during pre-recorded interviews. If you email your list with the line-up of speakers, you can also ask which questions they might have for these individuals. Knowing the questions in advance will result in these individuals promoting your virtual summit to their friends (and especially the interview that contains their question). You can also go through questions you’ve received in the past and if you can use it in a summit interview. You might want to outsource this part of the process as contacting so many people can become cumbersome, but if you have several questions from your audience lined up in advance, you can reproduce this effect within a pre-recorded interview. Inevitably, no one will watch every interview the moment it’s published, especially if you do something similar to the Authority Super Summit in which they conducted back-to-back interviews without breaks for several days. That’s why you need to keep the interviews up for a short periods of time (48-hours after you publish them). Keeping the interviews up for 48 hours is a strategic decision. The deadline will encourage people to act while the interviews are still free. There’s also another reason why you want to make interviews available for just 48 hours after they’re live. I’m definitely forgetting a few things. Similarly, I’m definitely forgetting a few things. So why do I mention the monetary costs and time costs? Am I trying to discourage you? No. I’m doing just the opposite. The significant monetary and time costs (combined with a valuable virtual summit) gives you the right to charge for your virtual summit. So for some of the people balking at charging for virtual summit material, that’s exactly why it’s necessary. Hosting an epic virtual summit will boost your sales, but there are other things you can do that will help your virtual summit sales. The most notable way to make more revenue from your virtual summit is to recruit as many affiliates as you possibly can. Your speakers will be your affiliates, but why stop there? Remember Chandler Bolt, the guy I mentioned at the beginning of this blog post? Chandler hosted the Self-Publishing Success Summit. While I was not a speaker at this virtual summit, I still promoted it as an affiliate. We both made a nice cut from my affiliate marketing efforts. He had several affiliates who were happy to promote his virtual summit even though they weren’t speakers. Chandler even created swipe copy for affiliates who were and weren’t speaking at the summit. Adding an extra affiliate to your team can result in an extra $1,000 (or more) depending on who you add to your team. I advise outsourcing the task of reaching out to affiliates (as you’ll already have enough on your plate). I personally use Optimize Press for my affiliate program, but you can also use WP Affiliate Manager or one of the affiliate programs listed here. Once you get these affiliates, you’ll want to put them into an affiliate email list. That way, you can effectively communicate with your affiliates and inform them of important dates. You can also create a leaderboard and offer prizes to people who get the most opt-ins and sales. 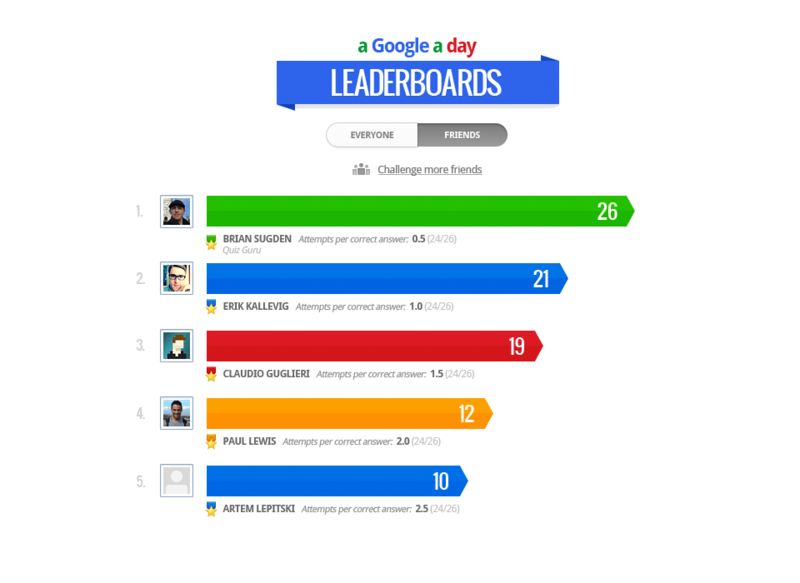 Leaderboards will entice affiliates and speakers alike to put more effort into their promotion efforts. The icing on the cake to boosting sales is to raise the price of your All-Access Pass every other day. Start with a $47 price point and then raise it to $97 in two days. Two days after increasing the price to $97, raise it to $197. Update your audience on these changes as the summit progresses, and include several bonuses that add up to thousands of dollars of value. The more bonuses, the better. Virtual summits are a lot of work, but the work is very exciting. You’ll have a blast organizing the virtual summit, and you’ll learn a lot from the interviews. A few weeks later, you could end up with an additional six figures and thousands of new subscribers. In the Chandler Bolt case study, he said that in two months he made over $370K from his summit and got over 30K new subscribers. Let’s be clear, it took Chandler more than two months to reach that point, including several months of planning. But if I told you that you could make $370K and get over 30K new subscribers in a few months, would you sign that deal? I’m sure you’d sign even if I said it would take you an entire year. Summit preparation is a lot of fun. I’m in the middle of it myself. What are your thoughts on hosting a virtual summit? Which insight in this blog post did you find especially useful? Have a question for me? Sound off in the comments section below. And if you’re new here, join the mailing list. The form is below. You’ll get a ton of free content just like this!